We (WWW.VIETNAMVISAONLINE.COM.VN is one of our websites) are a tour operator, NOT the official website of Vietnam government or affiliated with Vietnam Government. Since 2001, VietnamVisaOnline.com.vn has been among the very first express visa providers in Vietnam. We have been working with the Vietnam Department of Immigration to process applications of Vietnam visa online services. 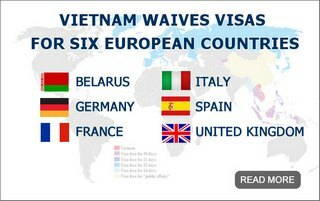 You can get a Visa to Vietnam by applying at Vietnam Embassy or Vietnam Consulate in your country or ordering a visa service at a Travel Agent. Getting Vietnam visa in Laos?